It was a welcome return to power-pop form when Brian Wiegert and a few of his bandmates from the late quartet Team Tomato regrouped as Picture Day and released an EP last year. After a couple of years with the country-leaning Red-Headed Strangers, the slurry of the Kinks, Guided by Voices and Psychedelic Furs found on that release (and its standout single "Madoline") put Wiegert back in front of a mic with sharp, melodic hooks to bolster his pop songs. 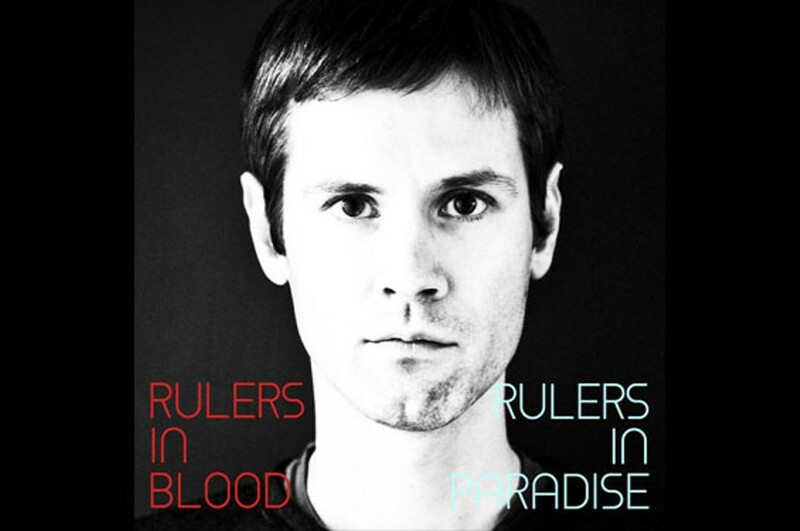 As it turns out, Wiegert had been working on a much more ambitious endeavor all along: Rulers, his solo project that was last heard from in 2009, re-emerges with two full-length albums this spring — Rulers in Paradise and Rulers in Blood. As the names suggest, these albums are certainly positioned to be two sides of the same coin, with the songs on Blood veering into harder-edged and more experimental territory and Paradise sticking to earwormy pop. But even at its most aggressive, Rulers never strays too far from a melodic center and tried-and-true verse/chorus/verse dynamics. Left to his own devices, and without the strength of a capable band to anchor these songs, Wiegert's muse wanders all over the pop/rock landscape. This is not necessarily a bad thing, as these albums touch on psych, balladry, folk and almost every other guitar-driven genre there is. He's an apt multi-instrumentalist and, especially on the Blood LP, a curious knob-twiddler, but the poppiest of these songs practically beg for a four-piece to flesh them out. Fans of Wiegert's other projects will find much to love across these nineteen tracks, from the harmonica-fueled "The Perks" to the hazy twelve-string strums and E-bow moans of "The Seasons." Wiegert has long been one of this city's most sturdy purveyors of pure pop songcraft, and there's plenty here that supports that claim.